If you don’t have the budget to hire an interior decorator to add some sustainability to your home, no worries – you can still get the look by adding a few accessories like these, below. 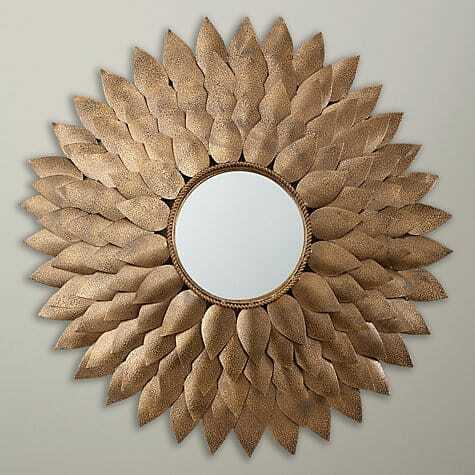 Make a golden statement in any hallway or bathroom. £150 at John Lewis. Recharge your home’s energy beautifully with the healing vibrations of crystals. 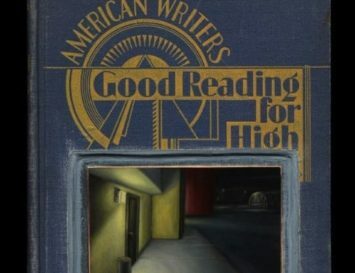 From $10 on Amazon. 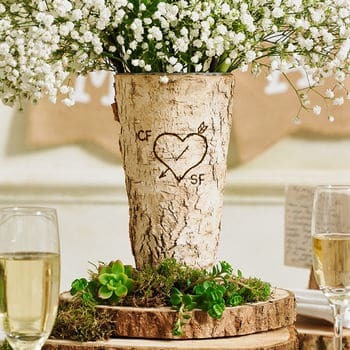 Get you and your honey’s initials custom-carved into this birch vase from Not on the High Street. Around $45. Plants as decor is a huge design trend right now, and one that can help purify the air in your home, too. Mini Bonsai Forest: $55. 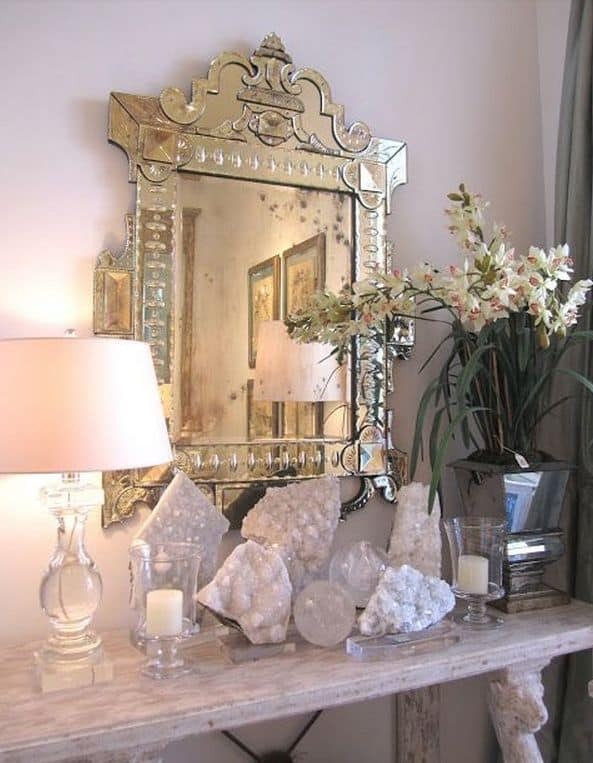 Create a display of friends and family, surrounded by the beauty of natural seashells. From $24 on Amazon. 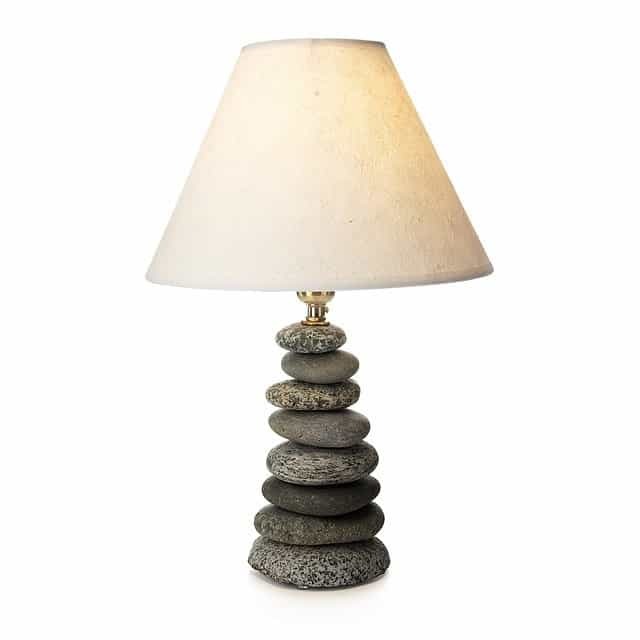 Bring a bit of the outdoors in with this sweet little lamp made from stones. From $125 at Uncommon Goods. Believe it or not, the middle part of this table is created from natural mushroom fibre! From $110 at Uncommon Goods. 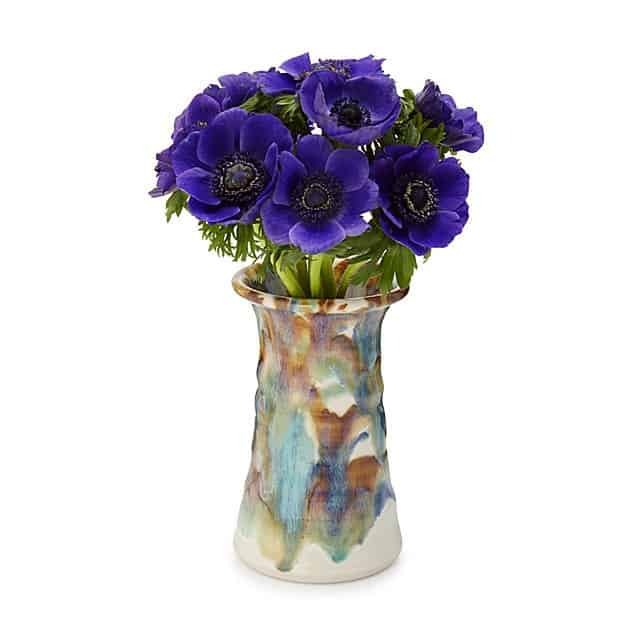 Brighten up your home with some gorgeous handmade pottery, perfect for adding a beautiful bouquet. $50 from Uncommon Goods. 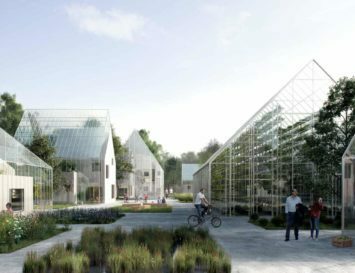 And if you’re wondering if pottery is eco-friendly, just click here to find out. 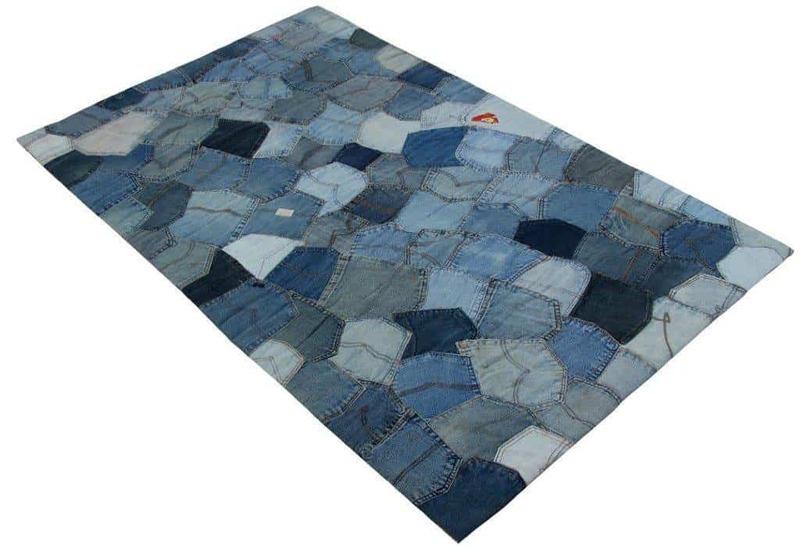 Put old jeans to good use with this statement rug – no two are alike! 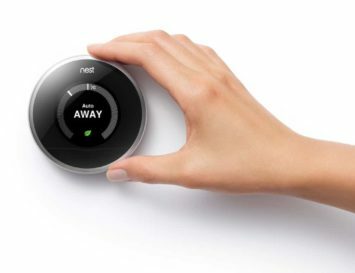 From $79 on Amazon.